The GBP/EUR exchange rate appreciated following European Central Bank President Mario Draghi’s speech this morning, rising to the rate of €1.13 despite his glass-half-full outlook. 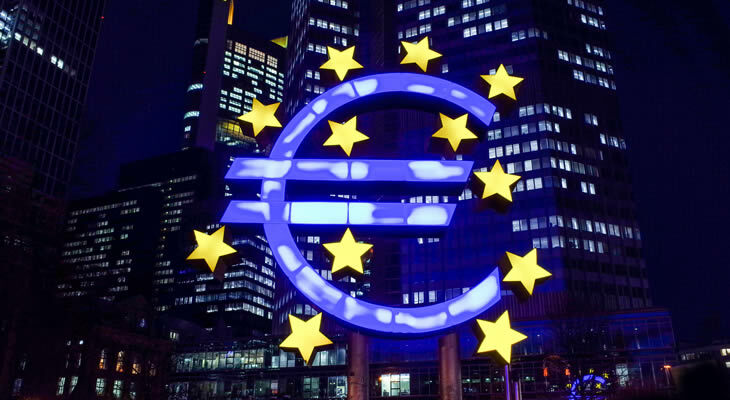 Draghi struck a somewhat positive tone, with an emphasis on the Eurozone being ‘resilient’. Since markets opened this morning Sterling has risen from a low of €1.126 to €1.132. The Pound Euro (GBP/EUR) exchange rate slumped as much as 1.5% over the course of Thursday as Brexit news took the centre-stage. The resignation of members of the Prime Minister’s Cabinet, including Dominic Raab and Esther McVey rocked confidence in Sterling. Thursday was the worst single day for GBP/EUR exchange rates since June 2016, as the possibility of the UK heading for a ‘hard Brexit’ became increasingly probable. Prime Minister Theresa May had a tough time in Parliament yesterday as it emerged a large number of rebel MPs, led by Jacob Rees-Mogg, were moving to trigger a vote of no-confidence. A contraction in October’s retail sales also did nothing to help the UK currency as it added to the already growing list of causes for the currency to drop. As Brexit remained the main focus of Thursday’s news, EUR investors were largely seen to be ignoring the spat between Rome and Brussels despite concern over Italy’s large debt pile – raising the odds of a ‘Greece-style’ crisis for the country. As the deadline passed for Rome to resubmit a revised budget draft, markets are now left to wait on the response from the European Commission. With Brexit being the focus of most European news, a poll from Istituto Ixe has noted that 60% of Italians think that the EU is bad for their economy, with a majority believing that the EU’s food policies are damaging for products made in Italy. Over the latter half of next week we will see the release of some significant data from the Eurozone as the OECD Economic Outlook is released on Wednesday, Eurozone consumer confidence figures for November on Thursday and multiple PMIs on Friday. If the data is broadly positive, it could push the Euro to make further gains against Sterling. No significant British data is set to be released over the next week, so the attention of GBP investors will remain on Brexit as we see whether or not the Prime Minister is able to keep hold of her leadership. If a vote of no-confidence is passed, it is uncertain if there would be sufficient time to get an alternative Brexit deal before the deadline of March, which would set the stage for ‘no-deal’, which would undoubtedly cause more volatility for Sterling. It also seems more likely that there will be further resignations from May’s Cabinet, so this could cause further volatility to Sterling against the Euro, as well as other currencies.